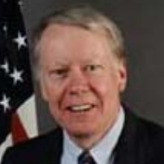 Michael E. Ranneberger was sworn in as the new United States Ambassador to Kenya on July 31, 2006. Ranneberger obtained a BA from Towson State University in Baltimore and an MA in history from the University of Virginia. He was Angola Desk Officer during 1981-1984, where he worked as a member of Assistant Secretary Crocker’s team. After working as a special assistant to Under Secretary Armacost from 1984 to 1985, he was awarded an International Affairs Fellowship at the Council on Foreign Relations. His service as Deputy Chief of Mission in Maputo from 1986 to 1989 included eight months as charge during the civil war, at a time when the US Agency for International Development’s (USAID) emergency assistance program in Mozambique was one of the largest in sub-Saharan Africa. From 1989-1992, Ranneberger served as Deputy Chief of Mission in Asuncion, and while Deputy Director for Central American Affairs during 1992-1994, he helped oversee implementation of the peace accords in El Salvador and efforts to end the internal conflict in Guatemala. In August 1994, he became Deputy Chief of Mission in Mogadishu. Ranneberger spent six months in Haiti setting up and running an inter-agency Task Force on Justice and Security-Related Issues before becoming Coordinator for Cuban Affairs from July 1995 to July 1999. From 1999 to 2002, he was ambassador to the Republic of Mali. He served as special advisor on Sudan from 2002 to 2004 and was the Africa Bureau’s Principal Deputy Assistant Secretary from 2004 to 2005. In 2006, he became the senior representative on Sudan in the Bureau of African Affairs. In May 2009, some Kenyan leaders expressed slight displeasure with Ranneberger Nicholas Gumbo, a Member of Parliament from the Rarieda party, was quoted saying “Ranneberger is behaving like a governor. He has no respect for elected leaders”. Additional members of Parliament have expressed disappointment at the way Ranneberger has handled the reform agenda. On September 24, 2009, Ranneberger reported that the US was sending warning letters to 15 prominent Kenyans who are currently supposed obstacles to reform in Kenya. The warning stated that in order for Washington to continue providing future aid deals that benefit Kenyans, the leaders of Kenya need to implement long-delayed reforms that will stamp out corruption and rights abuses.